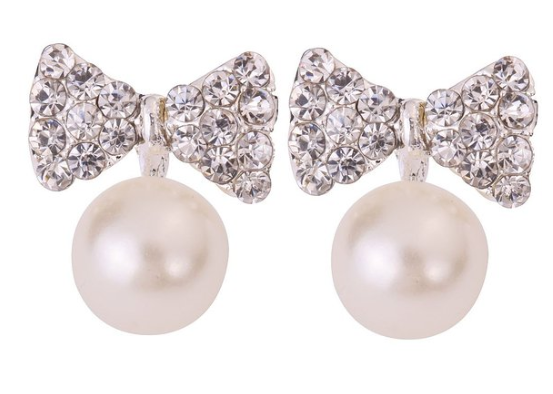 Silver Plated Bow Full Sparkling Pearl Earrings $3.89 SHIPPED! You are here: Home / Great Deals / Amazon Deals / Silver Plated Bow Full Sparkling Pearl Earrings $3.89 SHIPPED! These Silver Plated Bow Full Sparkling Pearl Earrings are so pretty, and even better, they are ONLY $3.89 SHIPPED! Grab them now to add to your collection!